Donnie Yen’s Ip Man film series is so popular that it has spawned a spinoff film called Master Z: Ip Man Legacy. Set in the Ip Man universe, Max Zhang reprises his role as Cheung Tin-chi, a Wing Chun expert who fought alongside Ip Man in Ip Man 3. He’s joined by Dave Bautista (Guardians of the Galaxy) and Michelle Yeoh (Crazy Rich Asians; Star Trek: Discovery; Crouching Tiger, Hidden Dragon). Behind the scenes is director Yuen Woo-Ping, who’s known for the martial arts choreography seen in The Matrix and Crouching Tiger, Hidden Dragon and his Hong Kong classics like Fist of Legend and Drunken Master. In our interview, Woo-Ping chats about making a film set in the Ip Man universe, the length it took to create the film, and working with Dave Bautista and Michelle Yeoh. Nerd Reactor: What is it like continuing in the Ip Man/Donnie Yen film universe? Yuen Woo-Ping: I liked the idea of doing this spinoff with Max’s character because it stays with the values of Wing Chun but telling it from a completely different approach. I think with Ip Man, he’s grown to mythical status, it’s sometimes difficult to make that character dramatically interesting. So with Master Z, we were able to flip that formula on its head. How did the idea start to have Max return as Cheung Tin-chi in his own movie? I think the idea started on Ip Man 3, to introduce a new character that could develop into its own storyline. Cheung Tin-chi is intriguing because although he is also a Wing Chun master, he’s flawed and self-serving at times, like all of us. I think that makes him more relatable and a little more fun to watch. It’s kind of a tradition to have a foreign baddie in period kung fu films. I wanted to work with Dave because not only was he a good fighter, he’s also a great actor. In this film, we get to see his charming side as well as his villainous side. Plus the physical size difference between him and Max made for a great contrast in the final fight. What is it like to do a film with stars Michelle Yeoh and Dave Bautista? They are both down to earth and professional, so it doesn’t feel like working with stars at all. Michelle, I’ve worked with many times over the years and it was a pleasure to work with Dave on this film. What can audiences expect from Cheung Tin-chi’s tale compared to Ip Man’s story? It’s a film that represents Wing Chun values: righteousness and selflessness. But it takes Cheung Tin-chi a little time to find those values after his defeat to Ip Man. I think that journey is something we all can aspire to. Is it challenging to direct and do the fight choreography? It is difficult. When I do just fight choreography, I can be done with a film in 6 months generally. Just creating a dozen fights sequences for a film is hard enough but as a director, I also have to keep track of the dramatic arc, which adds a whole other dimension. The hardest part of directing is that it starts much earlier than when the cameras start rolling and ends much later than the last day of filming. The first draft of the script I read more than a year before filming began and a year of development ensued after that. The filming took 4 months and the post was another 6 months. Nearly 2 years went into making this film. But I wouldn’t give it up for the world! 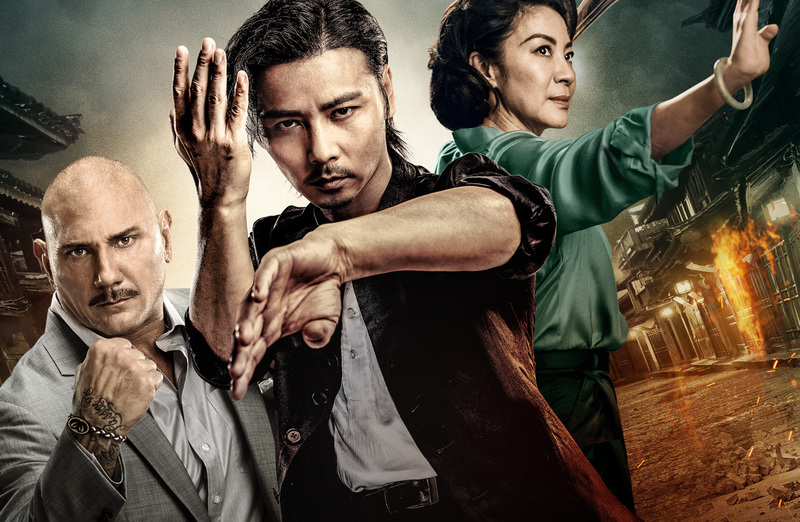 The post Director Yuen Woo-Ping on Master Z: Ip Man Legacy and working with Dave Bautista and Michelle Yeoh appeared first on Nerd Reactor.